Applebee’s recently unveiled its new American-made, wood-fired grills as the centerpiece of nearly 2,000 U.S. locations, inviting guests to follow the enticing aroma of American Oak smoke into their neighborhood Applebee’s to try a new Hand-Cut, Wood Fired Grill item. These restaurants have renovated kitchens, revamped menus and selected trained chefs to be official in-house Meat Cutters to evaluate and then cut each steak or chop. 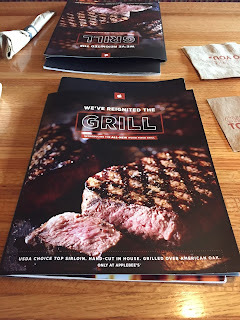 The head chef here at the Applebee's location in Estero, FL said in his 15 years of working with the company, he has never seen a kitchen overhaul of its kind and touts the upgraded beef selection. Now their menu includes hand-cut wood fired offerings include USDA Choice Top Sirloin Steaks and Bone-in Pork Chops. The new certified USDA Choice Hand-Cut Wood Fired Steaks and Bone-In Pork Chops are also hand-cut by trained meat cutters through a comprehensive process to ensure the highest quality, freshness and optimal thickness. Intrigued? I was. 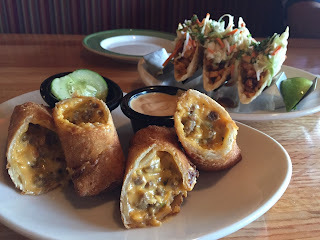 We typically dine at our neighborhood Applebee's on Sunday nights when kids eat for $1.99 with the purchase of an adult meal and now I'm excited to be able to have these delicious options for us adults! More Kids Eat Free Restaurant Listings in Lee & Collier Counties. 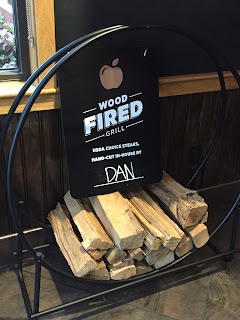 The new Wood Fired menu items are available at Applebee’s locations owned and operated by Doherty Enterprises in New Jersey, Long Island and 44 restaurants in Florida and Georgia. Outside of the Wood Fired menu though, we also really enjoyed their Cheeseburger Egg Rolls appetizer with ground beef, cheddar, onion, pickles and signature sauce. It was sinfully cheesy and delicious! Disclosure: We were skeptical, but really enjoyed our complimentary meal as stated above. No other compensation was exchanged. I eat what and blog about what I like. I haven't been there n awhile but this is making me want to go back soon. 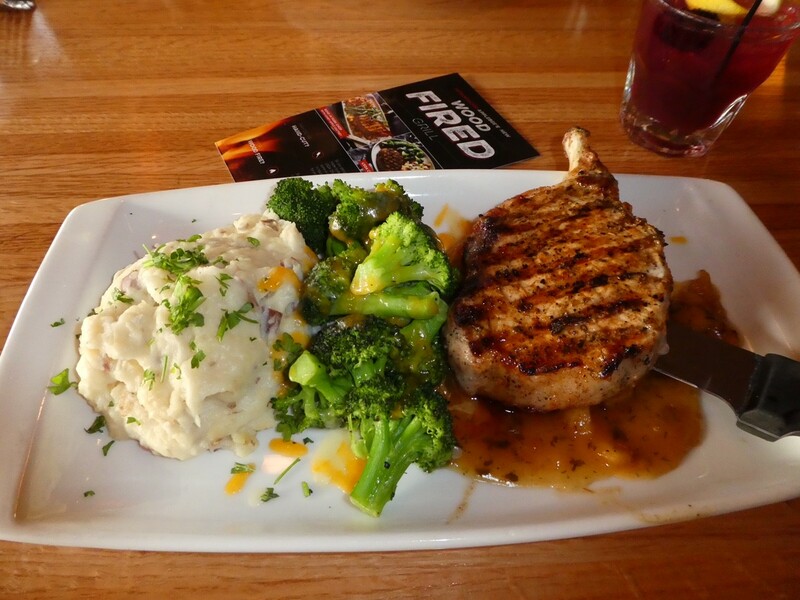 Sirloin steak looks great! 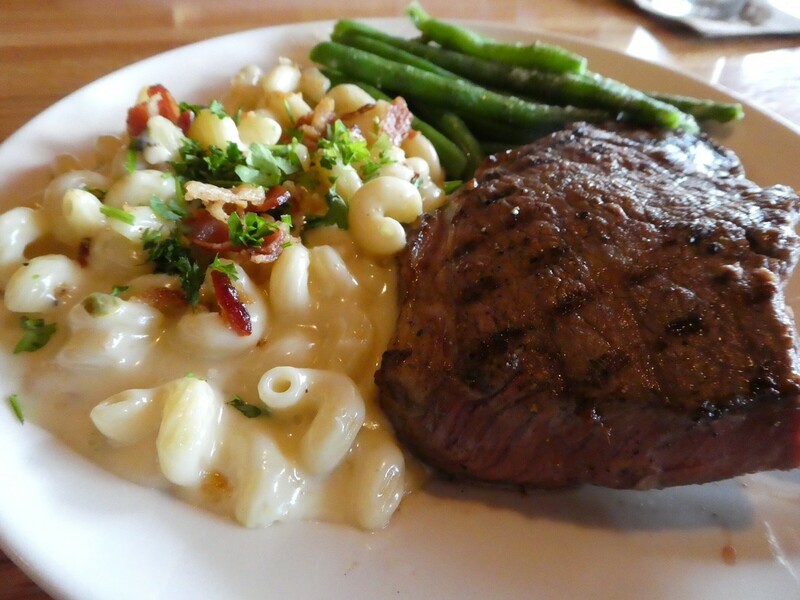 That steak with homemade mac-n-cheese looks delicious!